Archbishop Blase Cupich helped out at the Thanksgiving food pantry distribution at St. Columbanus Parish on East 77th Street. 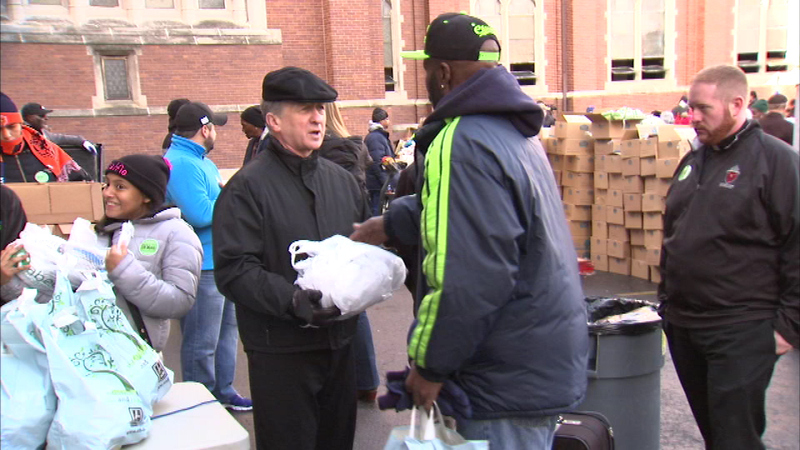 CHICAGO (WLS) -- Archbishop Blase Cupich helped out at the Thanksgiving food pantry distribution at St. Columbanus Parish on East 77th Street. The food pantry opened in 2004 and serves more than 500 households on the city's South Side every week.